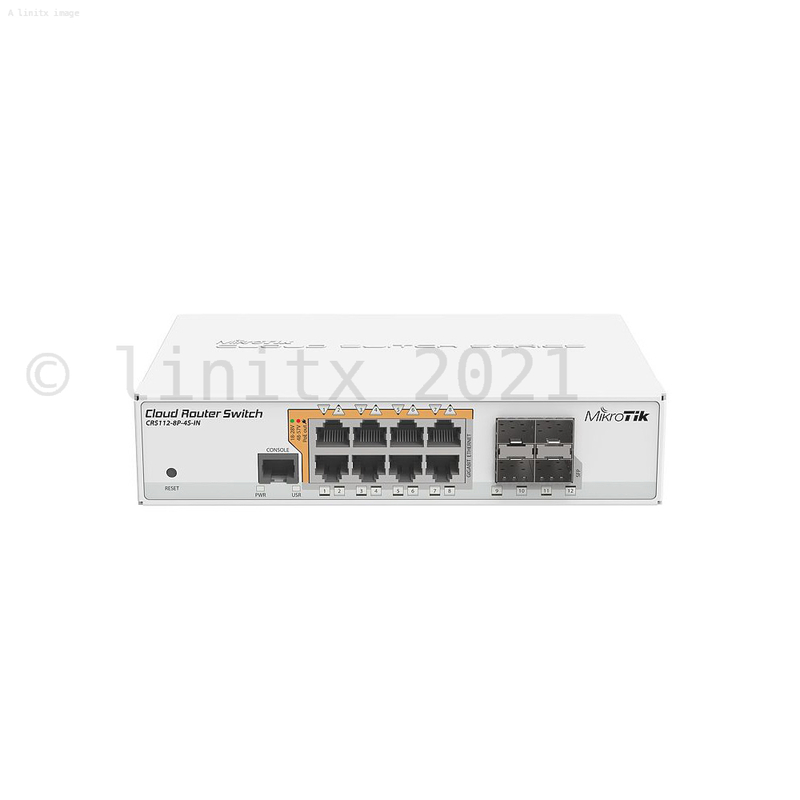 The MikroTik Cloud Router Switch - CRS112-8P-4S-IN is an eight port Gigabit PoE switch, that offers flexible power output options: auto-sensing 802.3af/at, PoE/PoE+, and Passive PoE. 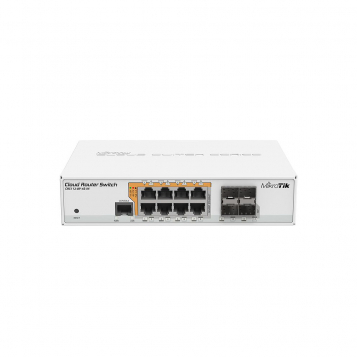 It also features four SFP ports providing fiber connectivity for up to 1 Gbps back-haul. 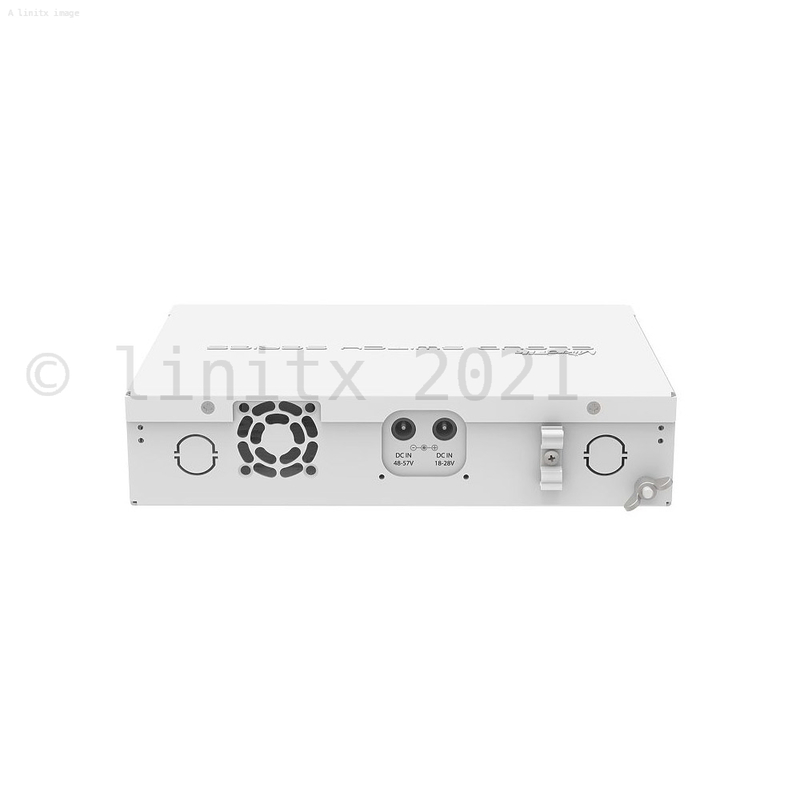 The CRS112-8P-4S-IN is equipped with 12 independent switching ports, two DC jacks on the back of the enclosure that support an 18-28V and 48-57V power supply (not included). The CRS112 can power 802.3af/at devices if the 48-57V DC input is used, with a max current of 450mA Amp per port. When using the 18-28 V DC jack, each port can support up to 1Amp. The total limit of the device is 2.8A@24V and 1.4A@48-57V.